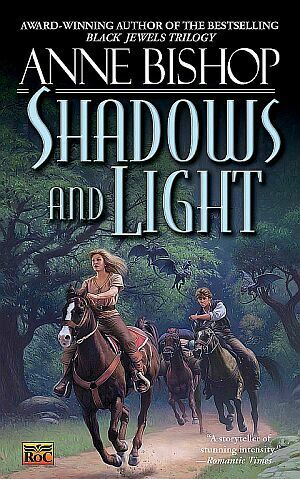 It’s a pleasure to post this interview with US bestseller author Anne Bishop here on Darkstars Fantasy News. 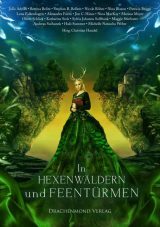 In relation to the recent release of the german translation of her novel „Tangled Webs“ Anne was so kind to answer various questions about her novels, her working live, what’s next from her – and who is more her cup of tea: Daemon Sadi or Lucivar Yaslana. You will find the complete interview under the cut. Have fun! 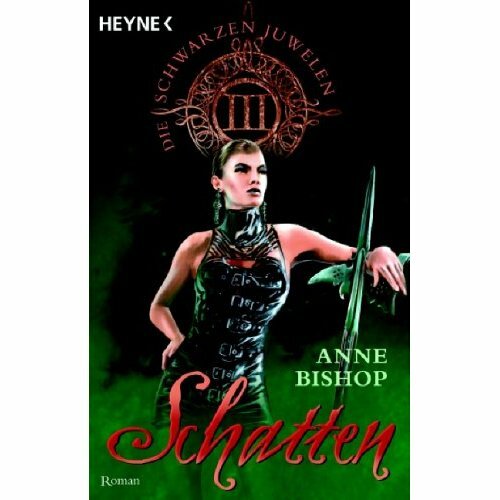 The German market hesitated for years to translate one of your novels. Interestingly, after they got published here, they immediately became bestsellers. Today, you’ve a strong (and growing) fanbase in our country. Do you have any plans to visit Germany within the next few years — for commercial reasons orjust for fun? I don’t do much traveling, but I hope to visit Germany someday. Recenently „Tangled Webs“ came out here in Germany. I guess you cannot give too much away, but maybe you could tell uswhy you decided to revisit this familiar setting? And how does it feel to write another Jaenelle-novel? I enjoy those characters, and I still have a few stories to tell about them. I had fun writing another book about the SaDiablo family. It was like visiting old friends. This year and next year, I’ll be writing more Black Jewels stories, some about the SaDiablo family and some (“The Shadow Queen” and its sequel) about a new cast of characters. 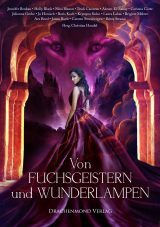 Are there any plans for a German translation of the Tir Alainn-trilogy? 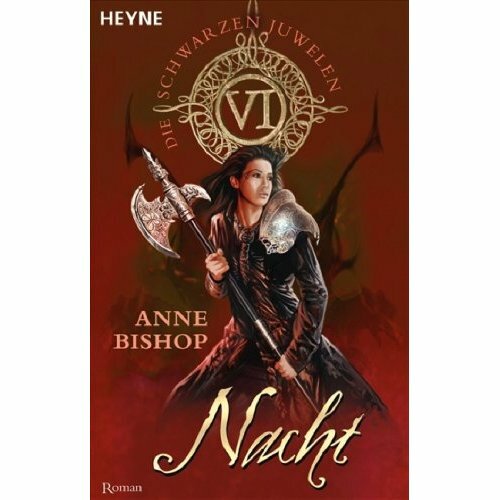 So far I haven’t heard of any plans to translate the Tir Alainn trilogy into German. Your books — especially the Jewels series — are both sensual and violent. There are passages so dark and brutal that I had toask myself how it was possible that such a book could hook me in such an intense way. Your novels are addicting. Why do you thinkthis dark realm attracts so many readers around the world? I think the sensuality and violence of a dark world provides a setting that intrigues readers, but the real attraction is the characters–their strengths and weaknesses; their struggle to hold on to a code of honor; their relationships, both good and bad; their regrets and mistakes. It is the play of human emotions in this dangerous setting that compels me to write the stories. Perhaps that is the same reason readers are drawn to them. Do you have one favorite scene in all your books, or one you’re really proud of? One of my favorite scenes is from QUEEN OF THE DARKNESS, when Daemon and Jaenelle make love for the first time. And one of the scenes I’m proud of is from THE HOUSE OF GAIAN, when Ashk keeps her promise to Morag. I’m proud of that scene because it was so painfully difficult to write. Was it hard to write such graphic and violent scenes? Or, be honest, was it fun? It is always hard for me to write the violent scenes. The fun comes from writing the friend and family scenes, and the interactions between Saetan/Daemon/Lucivar and Jaenelle. I look forward to writing those. Who’s more fun to write, anyway: the hero or the villain? And –who’s more your cup of tea: Lucivar or Daemon? Definitely the heroes. I don’t enjoy writing the scenes that are from the villain’s point of view. I like Lucivar and Daemon for different reasons–Lucivar for his earthy directness and Daemon for his elegant sensuality. But if I had to choose one of them, it would be Daemon. 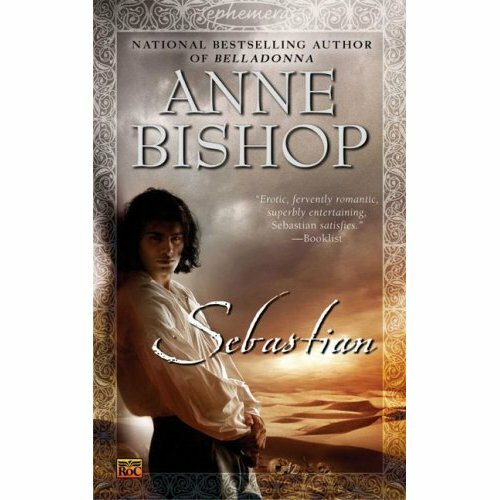 It’s interesting to see how you use names and words (like „Saetan“ or „Lady of the Moon“ in your novels to play with the readers expectation! With using names we all are familiar with due to religion and mytholgy you create a special atmosphere — and thenyou twist it all. Where did this special idea come? Developing stories and building worlds is all about playing with the familiar and making it into something new. I draw inspiration from archetypes and mythology, using things we know in our own world as building blocks. But my novels don’t take place on Earth, so I discard any part of those building blocks that don’t fit the shape of the world or characters I’m creating. Most of the time, what is left is a resonance or undercurrent I can play against. I don’t know if that is a special idea or not. It’s just the way I build stories. What do you like best while creating a new novel and/or universe – and what do you loathe? The fun of creating a new world is the potential of building a place or culture that can be or do anything. It’s the challenge of taking lots of small ideas and weaving them together to make something different and fantastic that still feels like it could be real. The hardest part is finding the right names for the major characters and then finding names for all the secondary characters that fit with the major character names. Maybe you could tell us a little bit about your process of writing a new novel? How’s an ordinary working day like? My stories are very organic. They begin from a single idea or image or thought, and then other images, thoughts, and ideas begin to cling to the first one, adding shape and evolving as the pieces interact. It grows and adds layers and texture, sometimes for years, before some last piece puts the whole thing in motion. Then I have the beginning of a story and at least some of the characters in their first rough development. All of that takes place before I ever sit down at the keyboard and start drafting the story. From there, I write four days a week and have a set quota of words as a goal that needs to be met almost every week in order to make my deadline. The other days I spend taking care of mundane tasks and writing business, as well as gathering information I’ll need for the next scenes I’ll be writing. Basically, once I start a story, I’m always in the story to some degree, even when I’m not at the keyboard. 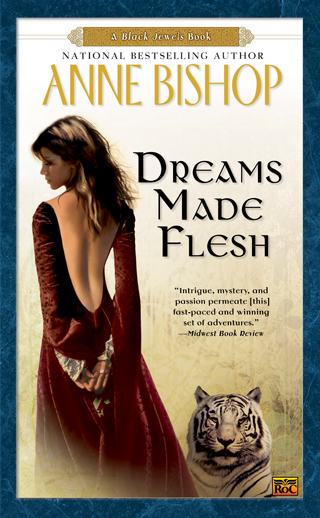 Besides from „TANGLED WEBS“ – what else is planned from the author Anne Bishop? Any short stories or something like that? Any plans to visit another genre? I also loved „THE INVISIBLE RING“ which was close to the Jewels-trilogy but a stand alone with pretty much a new cast of characters. Will we see such a novel again? I have a short story called “Stands a God Within the Shadows” coming out in September here in the US. It is in an anthology called IMAGINARY FRIENDS, published by DAW Books. Another genre? I did one story that wasn’t in the fantasy/science fiction genre, and that was fun because I liked that series of books, but I enjoy writing fantasy. 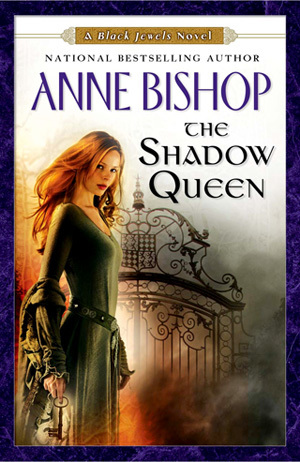 My new novel, “The Shadow Queen,” has a connection to the characters from “The Invisible Ring” and is the first book in a new Black Jewels duology. New cast of characters, but members of the SaDiablo family are also in the story. Any plans to revisit the landscapes of Ephemera again? I really loved the duology „Sebastian“/“Belladonna“! I think I’ll be going back to Ephemera to write more stories, but I don’t know when and which landscape will call to me. So why Fantasy? What is your personal opinion — what makes thisgenre so attractive to some readers (and writers as well)? Fantasy contains boundless possibilities. It contains the delight–and the fear–of things that are Other. In a background where anything can happen, the things we fear can be given tangible form and be defeated (sometimes). We also have a chance to explore the human heart without the constraints, and pain, of the real world. Wonder exists within the boundaries of the genre, and that makes it fun. Sometimes it happens that people tend to love one novel of an author (or a character) above all other. And people do let youknow, I guess. Is that something which is hard to handle? Yes, sometimes it is hard because I give my best effort to each story I write. On the other hand, I don’t like every series by other authors whose work I enjoy. The comments I receive about a particular series end up being balanced in the end because the books one person didn’t like are the books the next person loved the best. If you could meet a fictional character (from your own work oranother) who should it be and why? I would like to meet Aragorn from THE LORD OF THE RINGS because he is a strong, honorable man. And I would like to meet Daemon Sadi, for obvious reasons. All the best for your upcoming novel and both for your working and your private life! 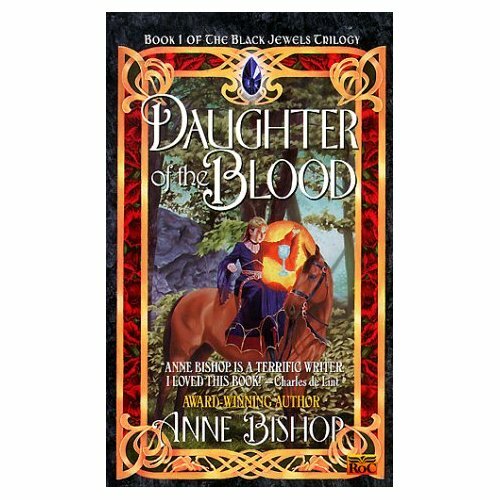 Anne Bishop’s Website can be found here. When will the next book in the landscapes of Ephemera be published?